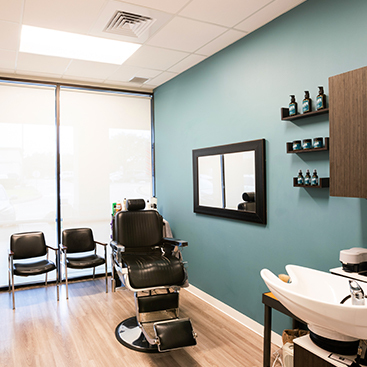 With a modern and inviting entry lobby, our Coppell Mattison Avenue’s high-end finish makes this salon stand out among the crowd. 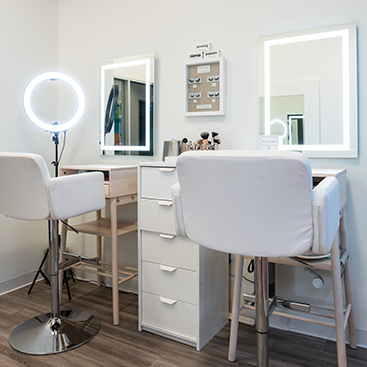 Our salon benefits from high visibility as an anchor store at Coppell’s Village Town Center’s new development. Neighboring Coppell High School, our salon benefits from proximity to one of the metroplex’s most recognized schools as well as from Town Oaks Centre’s 52,000 square foot development featuring Sprouts supermarket, Starbucks, Chipotle, Zoe’s Kitchen, and other major retailers that add to the high traffic along the Denton Tap and Sandy Lake Road boulevard.